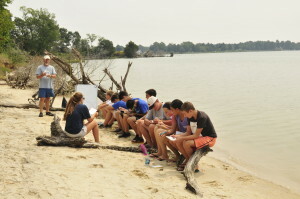 The biology course taught to the Chesapeake Bay Governor’s School sophomores will focus on those major concepts or themes deemed to be essential to an understanding of life processes. Throughout the year, science as a process will be emphasized as students conduct laboratory studies to support classroom information, use inductive reasoning to discover key concepts, study the history of the development of our present understanding of biological concepts, and learn how to conduct their own research. Other major themes to be emphasized are genetics, evolution, energy transfer, the relationship between structure and function, ecological interrelationships, the regulation of processes at many levels, and the impact of science and technology on our society. These concepts are all encompassing as well as recurring in all topics that will be covered throughout the year. This course, in conjunction with the topics course, will adequately prepare our students to succeed in their next two years at CBGS, in college, and in their future endeavors, as they will learn to focus their efforts and master essential study skills. CBGS Biology students will also be able to succeed on the Virginia Standards of Learning End of Course Biology Exam. This course covers advanced algebraic topics including the structure of complex number systems, polynomials, rational expressions, graphing, systems of equations and inequalities and functions, quadratic and rational equations and inequalities. Standards of Learning for Algebra II are taught but at a rigorous pace and additional depth. Thus, CBGS entering sophomores who have not had Algebra II may be awarded the verified credit for the course, but must be prepared to move through Algebra II material quickly. Topics from Math Analysis / Pre-Calculus are covered, as all students will extend their understanding of Algebra while tackling objectives to prepare them for Calculus, such as exponential and logarithmic functions; linear programming; and conic sections with analytic geometry. * Note: 1 Algebra II credit can be awarded to a student without Algebra II prior to CBGS; OR 1 credit for Algebra III/ Advanced Mathematics can be awarded to students already having an Algebra II credit. This course introduces the basic sciences which describe our physical environment, including the fundamentals of geology, meteorology, physics, chemistry, and biology. 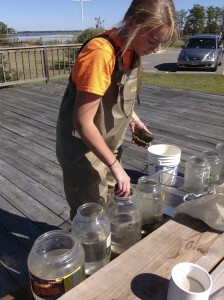 Students will explore scientific principles through data acquisition and analysis with a focus on the Chesapeake Bay Watershed and human impacts on the environment. In one semester of the junior year, CBGS students engage in additional Math Analysis/Pre-Calculus topics, adding to what they learned in the sophomore year and focusing on objectives of Trigonometry including evaluating trigonometric expressions (using both right triangle trigonometry and the unit circle), graphs of trigonometric functions, trigonometric identities, the laws of sine and cosine, polar equations, and more. The Statistics course will present an overview of statistics, including descriptive statistics, elementary probability, probability distributions, estimation, hypothesis testing, and correlation and regression. Students will apply statistical methods to their two-year research paper. 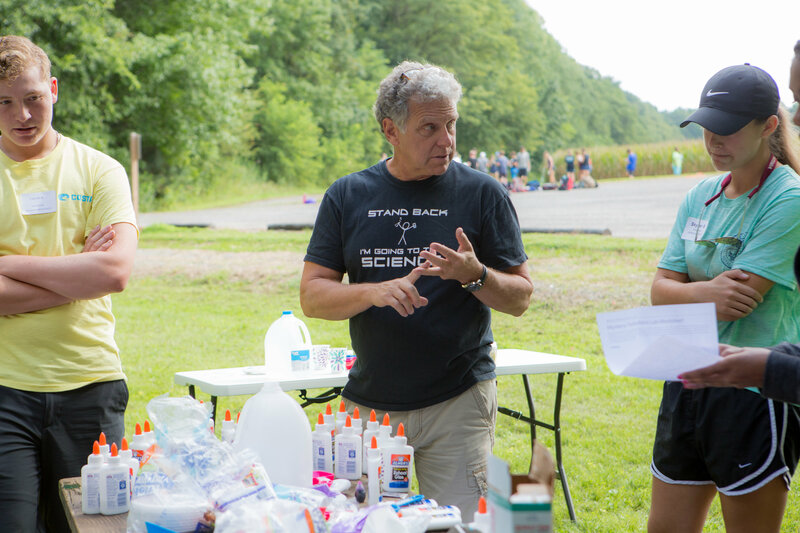 A two-year lab and field science course for juniors & seniors designed to provide thematic unity to the CBGS program and immerse students in rich experiential learning. Students will explore the principles of general ecology, evolutionary biology, environmental science, and oceanography, with special emphasis on the natural history and ecology of the Chesapeake Bay and its watershed as well as the Atlantic Ocean and east coast. The entire two-year course is interdisciplinary in spirit, stressing the importance of chemical, physical, and geological oceanography for understanding marine life and aquatic ecosystems, while making frequent connections to the mathematics and general sciences that students are learning in other CBGS courses. The curriculum will largely be driven by the data and investigations of real scientists, and students will design and conduct their own scientific research. In order to provoke critical thinking and creativity, the course will be organized around a set of abstract unifying concepts, vivid discovery experiences that require students to interpret their own careful observations, extended problem-solving missions, independent projects and presentations, and thorny environmental issues that compel thoughtful evaluation. 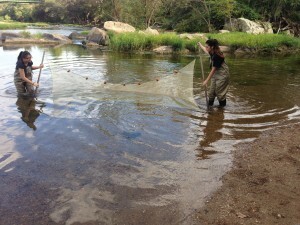 A two–year research project will be required of all Chesapeake Bay Governor’s School students. This is a 2 semester, college level, laboratory Physics course taught in the senior year, covering fundamental Physics principles, and their qualitative and quantitative applications. Topics include: mechanics; harmonic and wave motion; sound; optics; electromagnetism; thermodynamics; nature of matter; nuclear and quantum physics and relativity. Additional topics may be pursued dependi ng upon time and interest. In addition to qualitative and quantitative understanding of topics, students will be required to use them for problem solving in laboratory applications. Strong mathematical skills are essential, particularly in Algebra and Trigonometry. In addition to strong math skills, the ability to handle independent reading and study is crucial. Pre-Calculus is a pre-requisite for this course. Calculus is a co-requisite, taken during this year, and may help with quantitative conceptualization. This yearlong course presents analytic geometry and the calculus of algebraic and transcendental functions including the study of limits, derivatives, differentials, and introduction to integration along with their applications. Designed for mathematical, physical and engineering science programs. Most CBGS students will take MTH 173 in their senior year. Outdoor Adventures introduces outdoor activities with an emphasis on basic skills, preparation, personal and group safety, equipment selection and use. Over the three years at CBGS students will explore the ecology of the Chesapeake Bay watershed while camping, kayaking, and hiking on three overnight trips and several day trips. In addition, students will be required to keep a journal of their field studies. Students must attend all 3 major field studies.